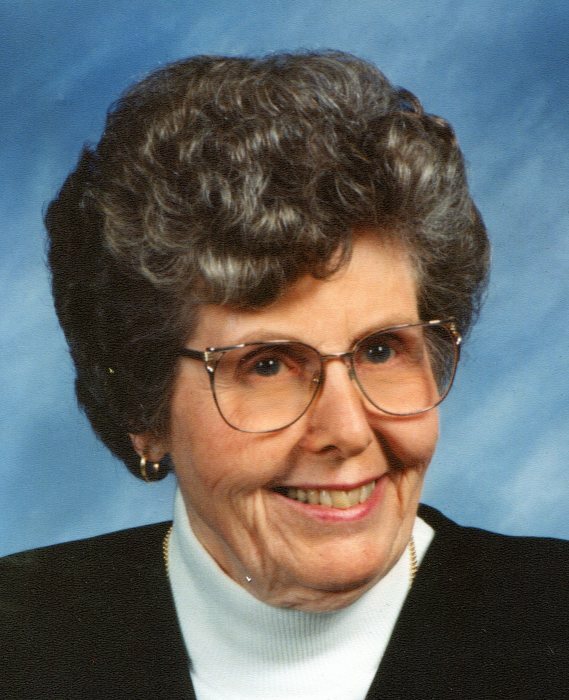 A Celebration of Life Service for Dorothy M. Schroeter, 94, Nebraska City, formerly of Madison, will be 11:00 a.m., Saturday, April 20, 2019 at the Home for Funerals Chapel, 708 Georgia Avenue. Burial will be 9:30 a.m., Saturday, April 20, 2019 at Crown Hill Cemetery in Madison. She passed away Saturday, April 6, 2019 in Nebraska City. Dorothy Marie was born in Madison, Nebraska to her parents Charles and Minnie Bickley in the winter of 1924 on the 12th day of December. She attended elementary school at Good Cheer District #48 and then on to Madison High School where she graduated in 1942. Following graduation, she worked briefly at the Madison Telephone Company and also as a secretary at a local law office. Dorothy married the love of her life, Otto Schroeter, on May 1st the year following her graduation. They were married in the church parsonage at Green Garden Lutheran Church. Otto was a farmer and Dorothy a home maker, enjoying gardening, flowers, sewing and raising their three children, Judy, Jan and Bob. She thrived as a typical farm wife...with one exception, she never enjoyed raising her chickens. Dorothy was active in her neighborhood with garden club and card clubs. She and her husband enjoyed traveling and spending time with family and friends. The couple were faithful members of Trinity Lutheran Church in Madison, Nebraska. Dorothy remained an active member until she moved to Nebraska City where she attended Christ Lutheran Church. Dorothy was preceded in death by her husband Otto, of 50 years, and her parents. Those left to honor her memory are their three children and spouses, nine grandchildren and spouses, 17 great grandchildren, 5 great great grandchildren, her only sister Doris, along with many nieces and nephews. Dorothy always said life passes faster than you think, she lived 94 years and was always up to going out to enjoy family, friends, a friendly card game, coffee and a meal. She would be the first to encourage all of us to take time to slow down and enjoy the little things in life. There's still time to send flowers to the Celebration of Life at the Home for Funerals Chapel at 11:00 AM on April 20, 2019.